After going down in their opening fixture against the Sydney Thunder, the Melbourne Stars will hope to put their first points on the table when they go up against the Hobart Hurricanes in the seventh fixture of BBL 2018-19 at the Bellerive Oval in Hobart on Monday, December 24. 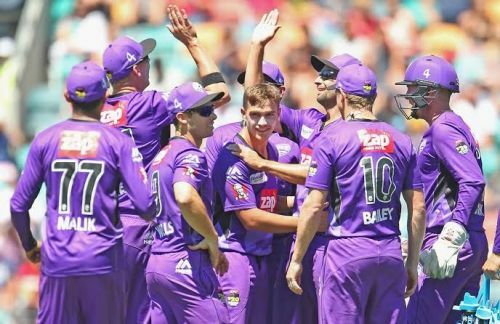 Both teams have played eight matches against each other in the Big Bash League, with six of those been won by the Melbourne Stars and two by the Hobart Hurricanes. In their previous clash in BBL 07, the Stars registered a three-wicket win at the MCG. Batting first, the Hurricanes posted 185/7 on the scoreboard, before the Stars overhauled that total in 19.1 overs. The Stars lost in the first encounter against Sydney by 15 runs (DLS), and are going through a tough time in the Australian league, evident from the fact that they have won just four out of their last 15 BBL games (including the previous seasons). Despite this, they will take some confidence from their impressive record against Hobart. Nick Larkin was the only batsman to show some resistance against Sydney and looked good during his quickfire innings of 28. He will be expected to continue his aggressive approach in next game. Apart from him, the hosts will also need strong contributions from their top order batsmen including skipper Glenn Maxwell, Dean, Dunk and Stoinis. All four failed miserably in the previous fixture with scores of 0, 7, 2 and 2 respectively. It is essential that these players take some responsibility and come out with much better performances against Hobart. Adam Zampa and Sandeep Lamichhane picked up two wickets each and they are expected to pose a major threat to the Hurricanes, and although Dwayne Bravo pulled off only the sole scalp of Daniel Sams, he will be their key figure during the death overs. 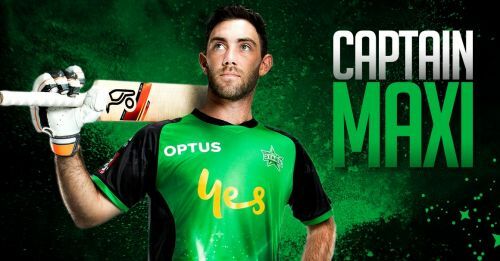 Glenn Maxwell (C), Marcus Stoinis, Dwayne Bravo, Nick Larkin, Evin Gulbis, Adam Zampa, Sandeep Lamichhane, Jackson Coleman, Max Beer, Travis Dean and Ben Dunk. Despite being in good form in the BBL, the Hurricanes have not been able to replicate their Big Bash League success against the Stars. They have lost their previous three head to head encounters against the Stars and will be eager to make amendments. D'Arcy Short (67 runs off 52 balls) was the pick of the lot with a steady fifty against the Brisbane Heat. The opener has been in top from this year and he will once again make things tough for the opponents, while George Bailey and Ben McDermott too announced their form. These two will take the responsibility to settle the innings in case of early jolts. The team will also bank on the likes of Mathew Wade and Alex Doolan, both of whom failed in the previous outing, and one can expect them to come out blazing in this game. James Faulkner was the pick of the bowlers in the last game with impressive figures of 3/25, and will be backed by team to get few breakthroughs upfront. Riley Meredith, Jofra Archer and Johan Botha picked up two scalps each, and they won't be easy to face for the Melbourne batters. Matthew Wade (C), D'Arcy Short, Alex Doolan, Ben McDermott, George Bailey, Simon Milenko, James Faulkner, Johan Botha, Clive Rose, Jofra Archer and Riley Meredith.